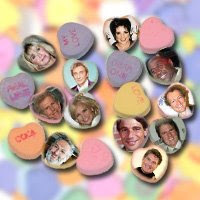 BroadwayWorld has its Fourth Annual "Most Romantic Broadway Love Song Ever" list up. Once again, If I Loved You from Carousel tops the list. My hands-down top pick: "Somewhere" from West Side Story. It gives me the chills just thinking about it.